Last night, I started preparing the traditional tsourekia (Greek Easter yeasted sweet breads). 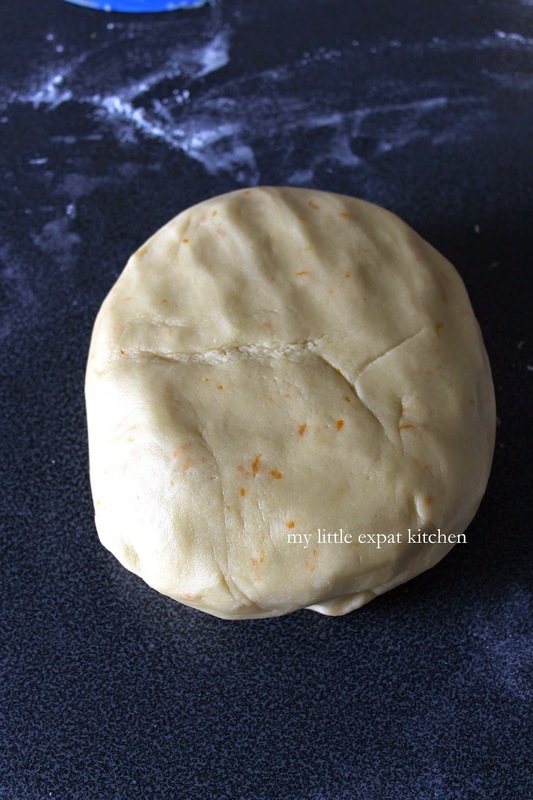 I kneaded the dough until soft, smooth and shiny and placed it in the fridge to rest and proof overnight. Today, as I took it out of the fridge, my nostrils were filled with the aroma of mahlepi and mastiha and I couldn’t wait to bake my breads. 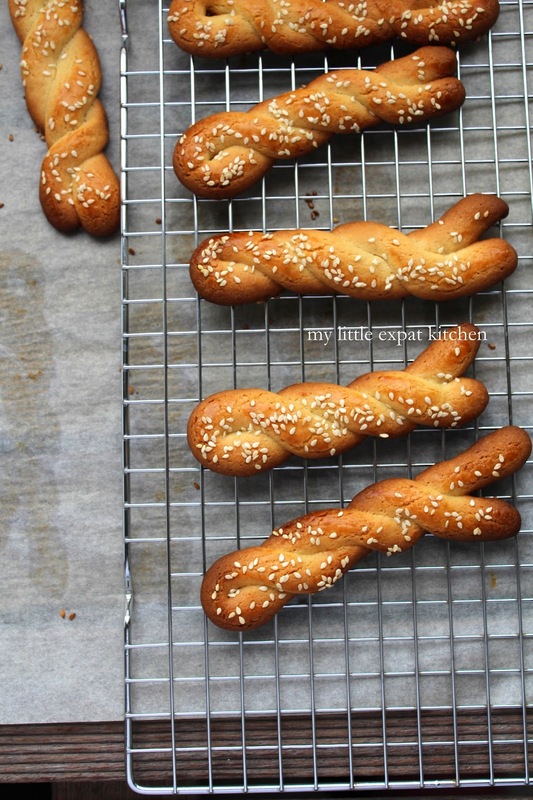 I braided the long strips of dough and after an hour or so, my beautiful tsourekia were ready. It was so hard to resist eating them right there on the spot. 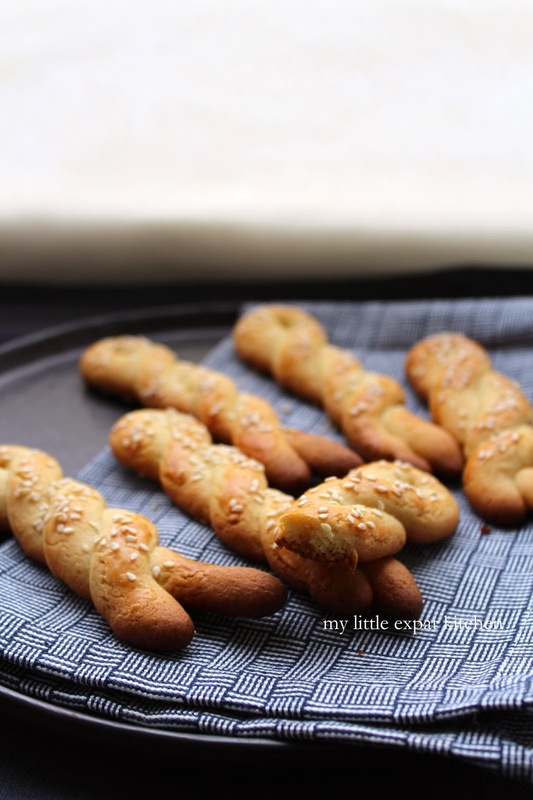 Yesterday, though, I made something equally irresistible and delicious; paschalina koulourakia (Πασχαλινά κουλουράκια), Greek Easter cookies, and this year’s batch was a revelation. I make traditional Greek Easter cookies every year but I was never quite satisfied with the result. Sometimes they were too sweet, other times they puffed up too much or were too hard. This time however, after studying my notes from previous years and making the appropriate adjustments to my recipe, I came up with the ideal, for me, cookies. 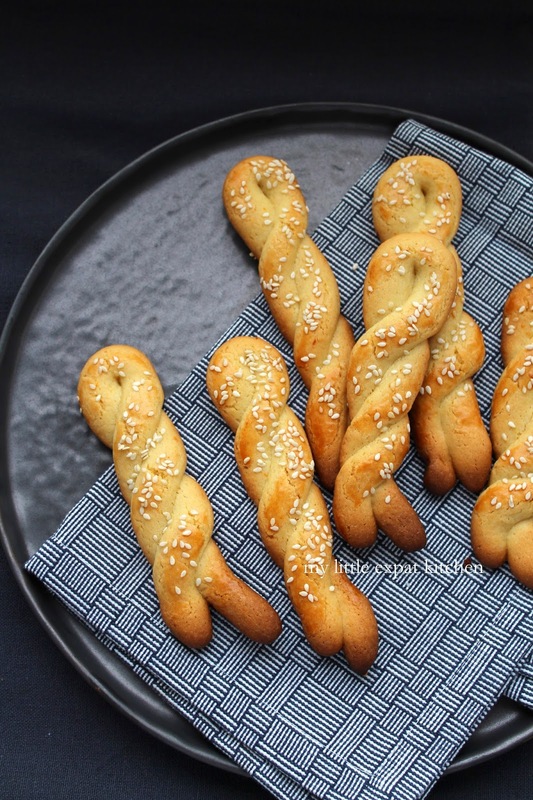 They are somewhat longer than the classic cookies of this type, crispy but not hard or crunchy, they have the heady aroma of butter, vanilla and orange, and the sesame seeds on top give a pleasant nuttiness and added texture. Without being too sweet or heavy, they are indeed the best Greek Easter cookies I have ever made. These are the type of Greek Easter cookies served on Easter Sunday since they contain eggs and butter (not Lenten). Τhey are perfect to dunk into your morning or afternoon coffee without disintegrating (an oh-so-important characteristic of a good Greek cookie). 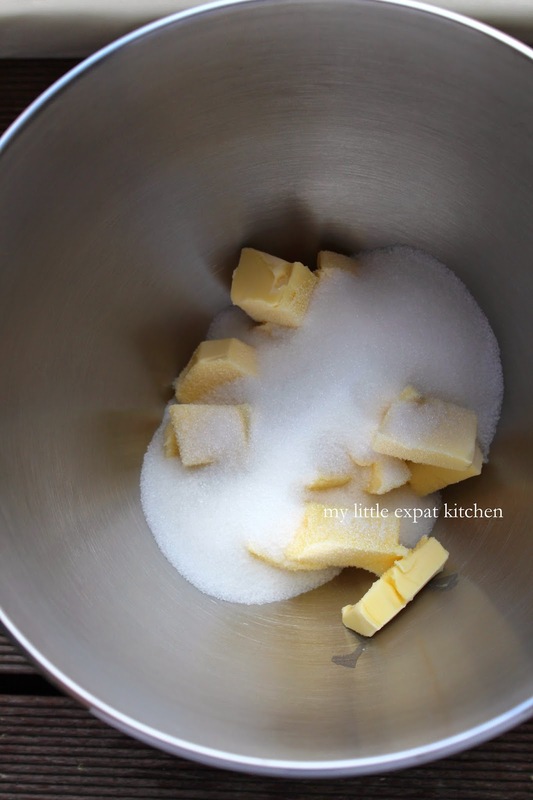 In the bowl of your stand mixer (or in a large bowl) add the butter and sugar and using the paddle attachment (or with your hand-held mixer) beat on medium-high speed until you have a creamy and light mixture. 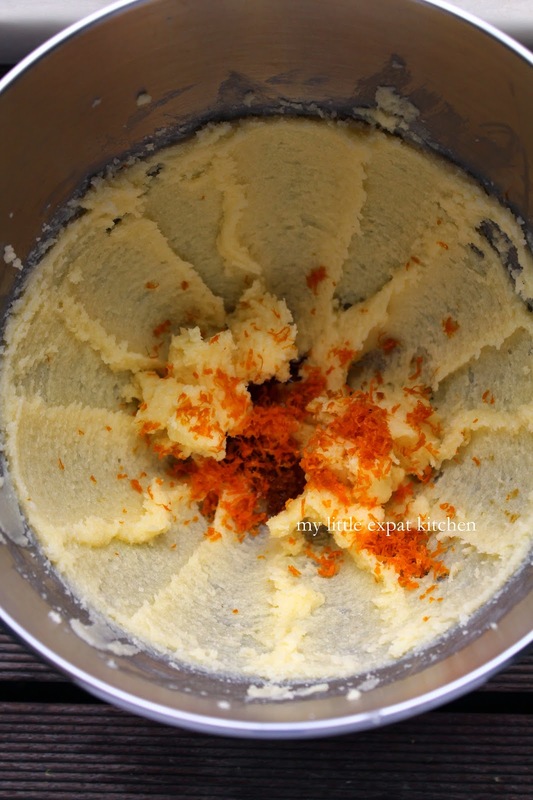 Add the vanilla and grate the orange straight into the bowl so that all the oils from the orange zest fly into the mixture and beat for a few seconds to incorporate. Add the eggs one at a time, beating well after each addition to incorporate them fully. 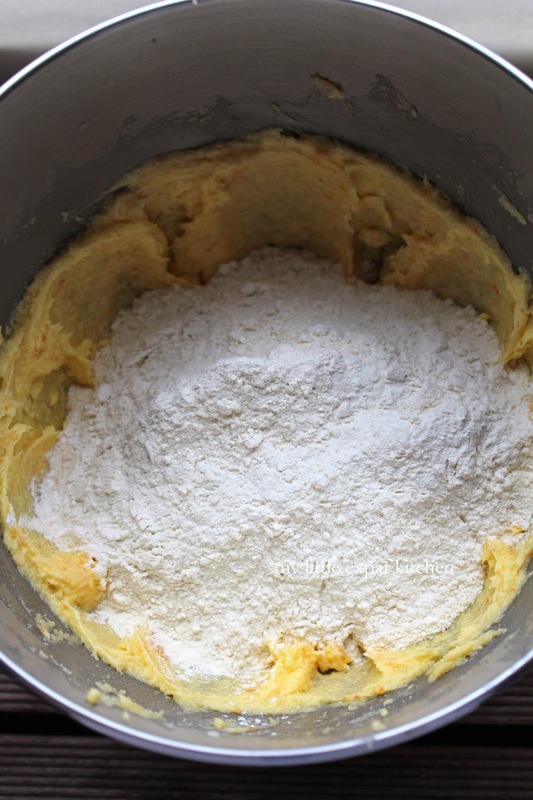 Then add the flour and baking powder and mix over low speed until just combined. 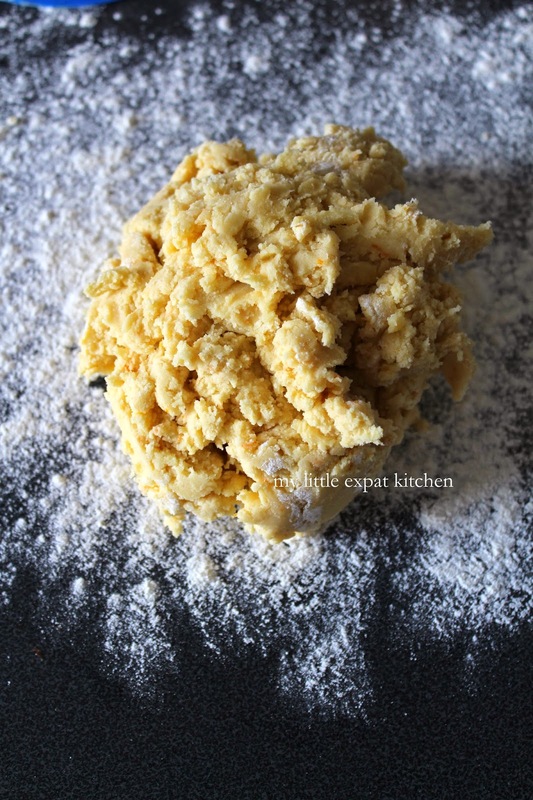 Flour generously a clean work surface and empty the dough on top. Flour the top of the dough and knead with your hands for 2-3 minutes, sprinkling with more flour if it sticks to your hands (I had to sprinkle flour a couple of times to achieve the desired consistency), until the dough is soft and pliable but is not sticking to your hands. It may seem that it needs more flour but it doesn’t. 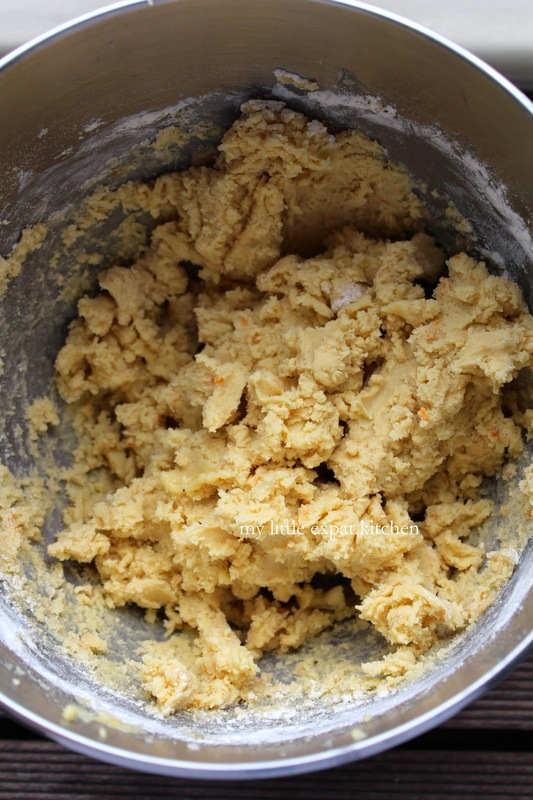 You don’t want it to become stiff or too firm otherwise your cookies will be tough rather than crispy. Shape it roughly into a ball and cover it with plastic wrap. Put it in the fridge for 20 minutes to rest. Line your baking sheet with baking paper. 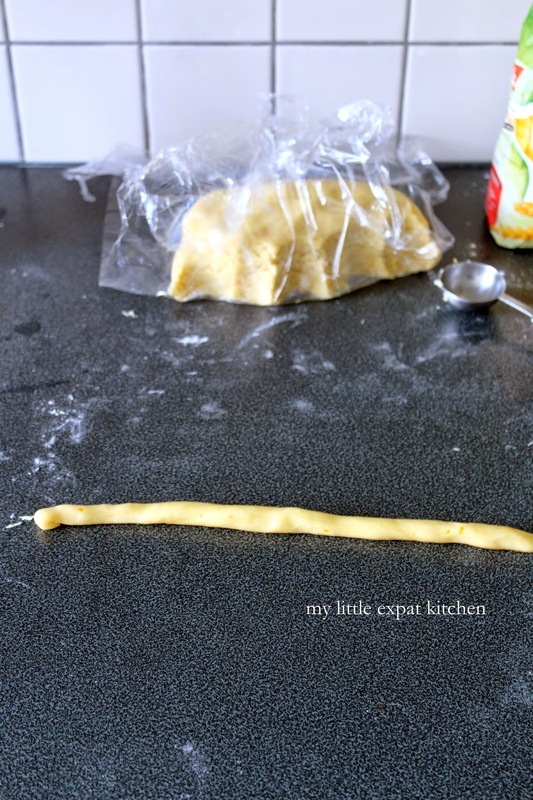 Remove the dough from the fridge, unwrap it and using a tablespoon measure, scoop out the dough, roll into a small ball (walnut-sized), and then roll it out with your fingers into a thin rope 25-26 cm long. 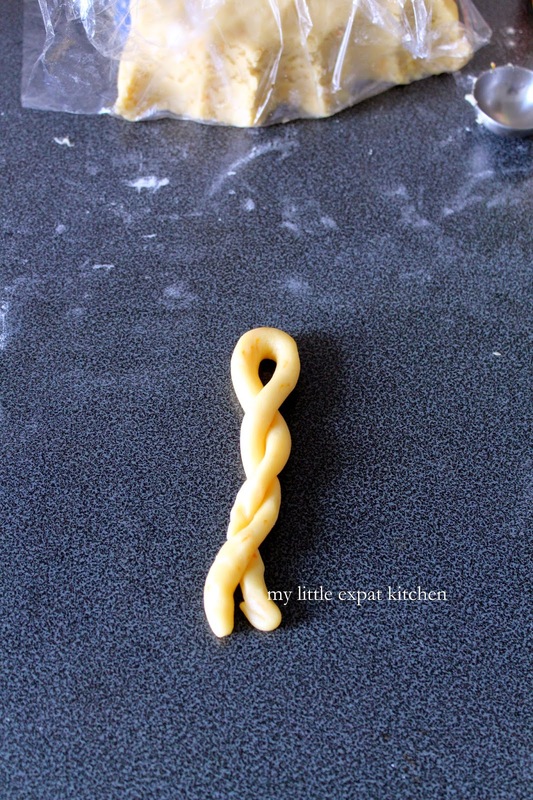 Fold it in half and then twist the ends over each other three times to create the final shape of the cookie. Note: You don’t need to flour your work surface because a) the dough shouldn’t be sticky at all and b) you need friction in order to shape the balls into ropes. Place each cookie on the prepared baking sheet and continue with the next. Space them a bit apart as they will spread a little during baking. Using a pastry bush, glaze each one with the beaten egg and sprinkle with a few sesame seeds. Place the baking sheet on the middle rack of the preheated oven and bake the koulourakia for 15-17 minutes, until set and golden, being careful not to burn them. The edges tend to burn easily so you may want to turn the baking sheet around halfway through the baking time. Take them out of the oven and transfer them onto a wire rack to cool. Continue baking the rest of the cookies. Once cooled, you can keep them in a cookie tin for 1-2 weeks. These look absolutely spectacular, definitely try and make them tomorrow for Easter Sunday. These cookies look so pretty and the thought of mahlab and mastic in the dough is irresistible to me! These remind me of the Armenian cookies one finds in the Armenian bakeries in Beirut. 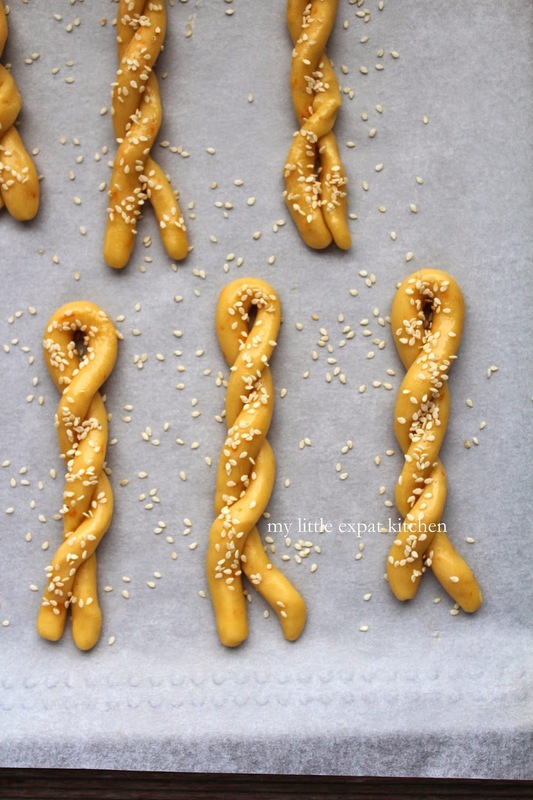 Love the braiding and the sesame seeds. Elizabeth — I hope you enjoy them! Joumana — the cookies don't have mahlab nor mastic, the tsourekia bread I made did :) The cookies are orange and vanilla flavored. Thank you! These cookies sound so delicious! I've never even heard of Greek Easter cookies before, but I'm definitely going to have to give them a try. Love the sesame seeds! Hi Anastasia. I'm sorry they didn't turn out as you expected. 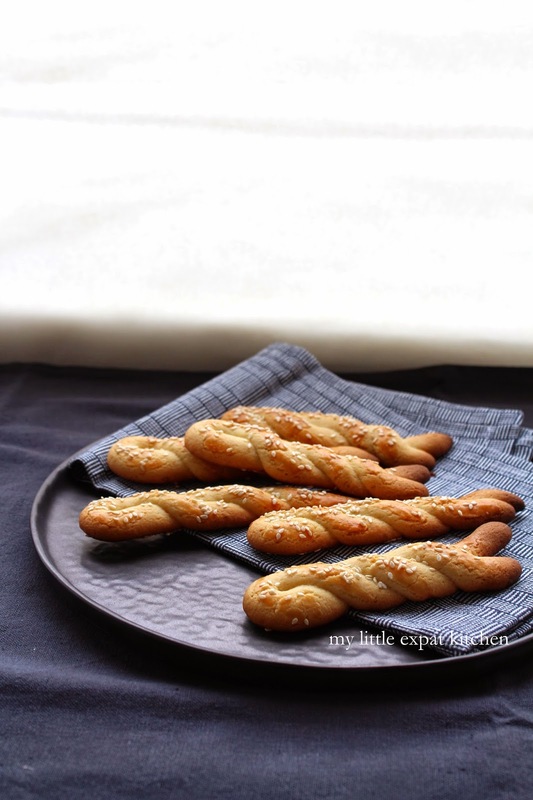 The koulourakia are somewhat flat, they do not puff up, as you can see in the photos. As for them being shapeless, perhaps your dough was too soft? Needed more flour to reach the consistency I describe in the recipe? Did you place the dough in the fridge before shaping the cookies? Can't think of anything else that could cause shapeless cookies. I'm glad you enjoyed their flavor. 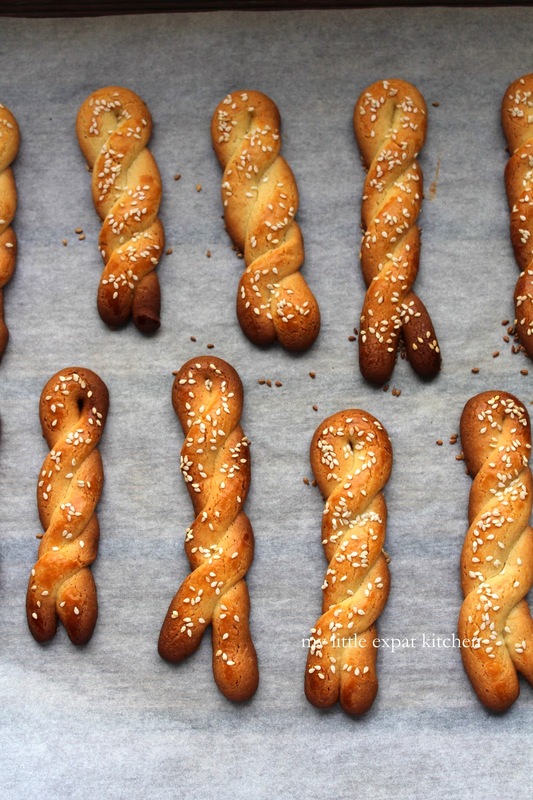 I still have one more tsoureki recipe to try before I give up on it! 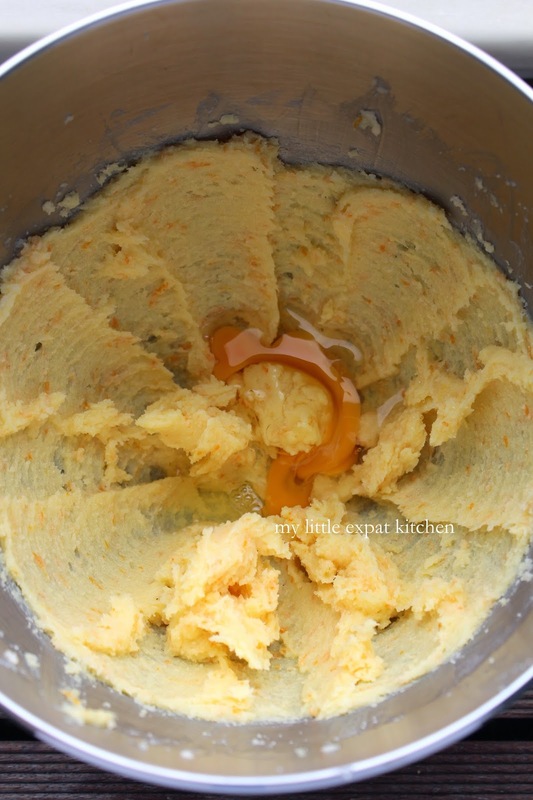 Last year I made 2 tsourekia, following the same recipe cos I thought something went wrong during the first time. This year I'm going to give it a go at a recipe by Tessa Kiros. 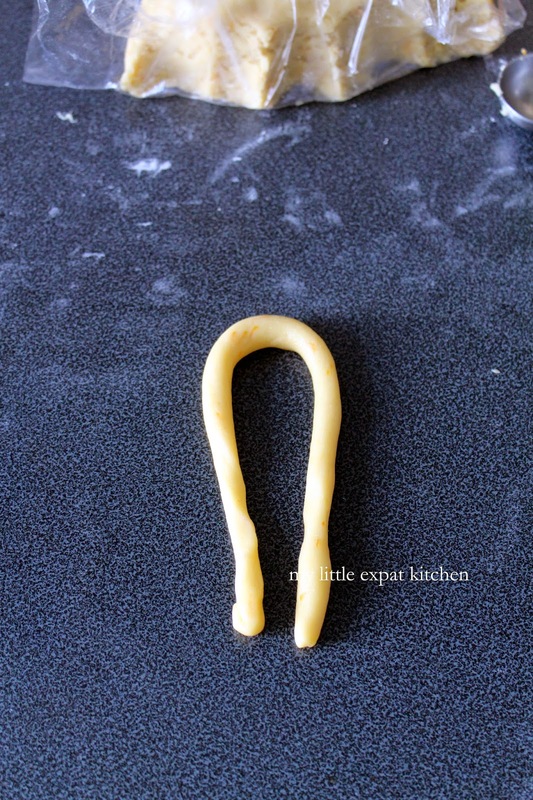 I didn't manage to do it in time for Easter... do you have a good tsoureki recipe you can share? I would love that! My tsoureki recipe link is at the beginning of this post. Hope you enjoy if you decide to make it. These look fantastic, Magda - they are Mark's and my favorite type of cookie - not too sweet and good for dunking. I will be trying them soon! Hope you and S. had a wonderful Easter! 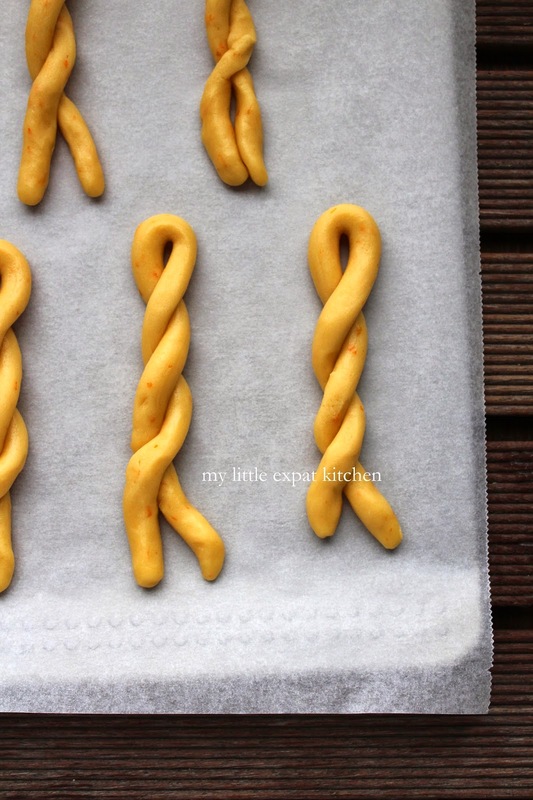 These truly do look like perfect Greek Easter koulourakia ... and I really appreciate the step-by-step. Pinning these for next year! 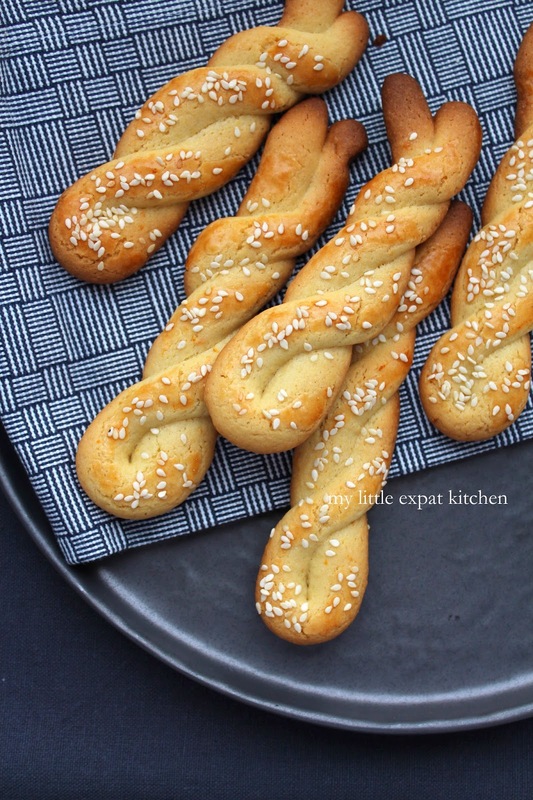 Magda, it has been decades since I've eaten Paschalina Koulourakia, but looking at your beautiful photos I immediately remember what they taste like:)What a treat for me! Help! Thirty five years ago, a neighbor, Mrs Pelonis baked Koulourakia. They were hard (like hard biscotti). I wasn't a baker at the time and didn't ask for the recipe. I've tried may recipes but never got the same result. Will these be hard (and hold their shape for dunking) or will they be crumbly like a shortbread (like the recipes I keep trying)? With my luck, Mrs Pelonis was a bad baker and these weren't supposed to be that way. Forty years ago, my neighbor, Mrs Pelonis made Koulourakia. They were delightful. I've tried for years to make them but the recipes I try are not dunkers. More the texture of shortbread or sugar cookies. Will these be hard? I hope so. Mrs Pelonis was a delight and even the name of these cookies brings back sweet memories. 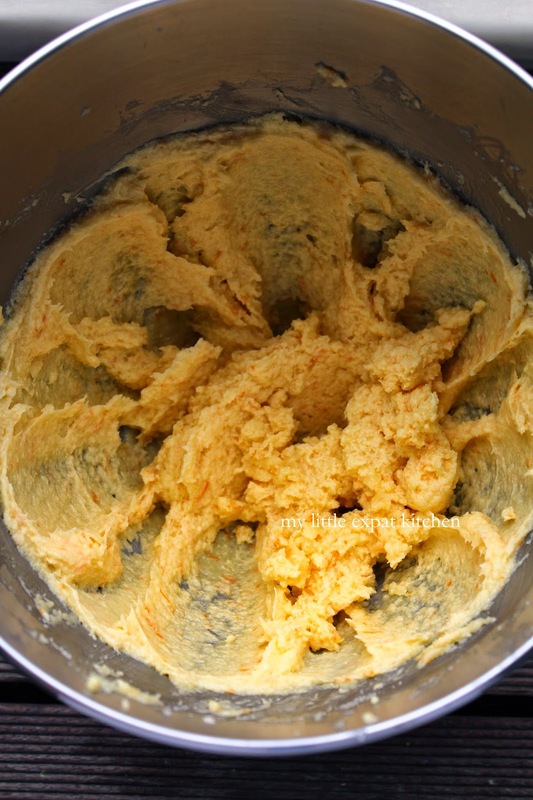 Help me bring back the texture, scent and taste too. Hi! 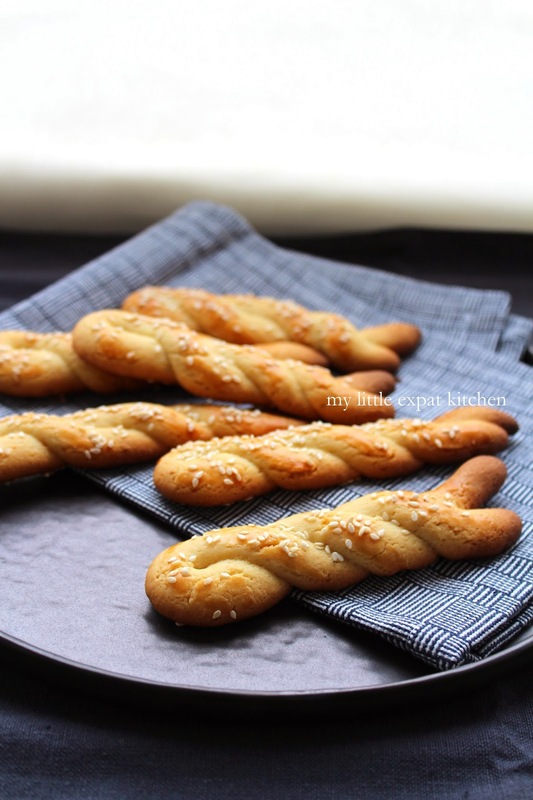 Koulourakia means cookies in Greek, so koulourakia can be many different kind of cookies; soft, hard, semi-hard, with several different flavors. I don't know which type of koulourakia your neighbor used to make forty years ago, but these are my Easter koulourakia. As I write in the post, these don't disintegrate and are perfect for dunking. They are not crumbly. Hope you enjoy them! I'd love to know how you liked them. The cookies she made looked exactly like yours. 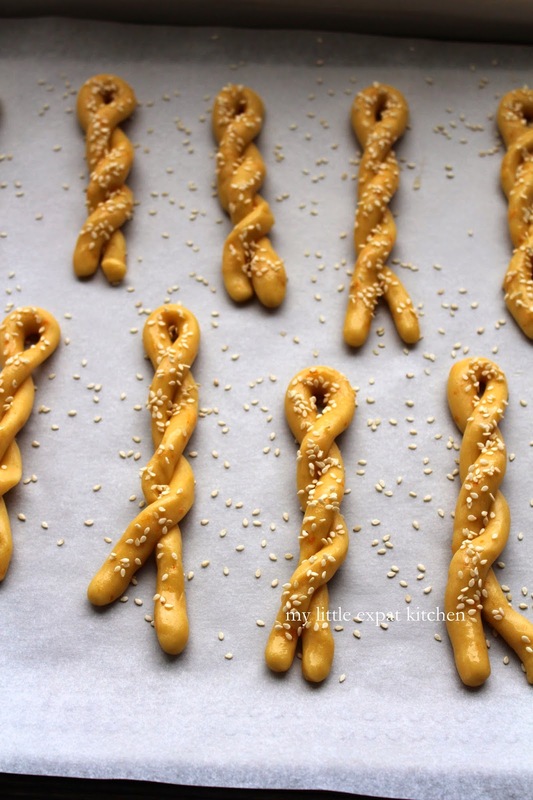 They were twisted (no sesame seeds) with a vanilla flavor. I will be trying these today. I think she called them (please forgive, I never saw it printed) kourupiedes (it has been 40 years so who knows if I remember correctly). I've seen other cookies with similar spellings but they were always the little crescent shaped things covered with powdered sugar. I will try yours today. I've spent many hours in kitchens with wonderful women. It will be a pleasant day. By the way, I have added you to my Feedly page. I can hardly wait to try some authentic greek recipes. Thanks again for your blog. Kourabiedes are Christmas cookies and are made with almonds. You can find a recipe in the recipe index or December 2012 in archives. Kourabiedes are shortbread-type cookies covered in icing sugar so completely different than these cookies here. Thanks for following BobbieAnn and hope you enjoy! These are really good! The texture is nice and crunchy and the orange zest make them really good -- these aren't my mother's Koulourakia, but that's okay! (Yes, I made them in June, so I'm going to get compaints from my family that I'm making Easter cookies off season, but hey, these are "new"! I did want to mention that in your recipe text you don't mention adding the baking powder in with the flour. 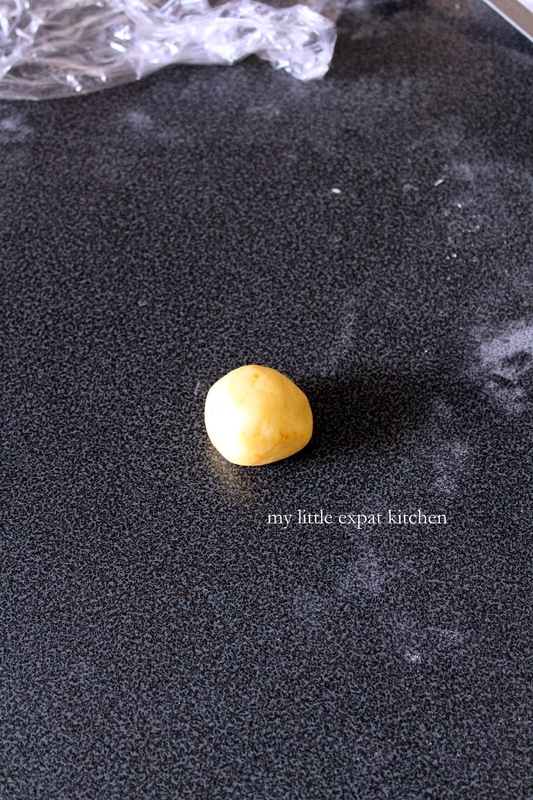 (Good thing I put it out on the counter - I had the dough together and realized I hadn't used it.) This might have been Anastasia C. Maier's problem with them turning out kinda flat.